Lots of players on the cusp. Kenedy hasn't helped himself in China. Boga & Musonda are getting some good experience in the first team this summer. Baker, Abraham & Loftus-Cheek are the 3 I most hope we don't squander (I think a hell of a lot of Chalobah so was gutted we sold him). Going further into the youth ranks Clarke-Salter looks highly promising. Tomori, Feruz, Aina, Colkett & Mount are highly thought of. Thank god it's only preseason games! 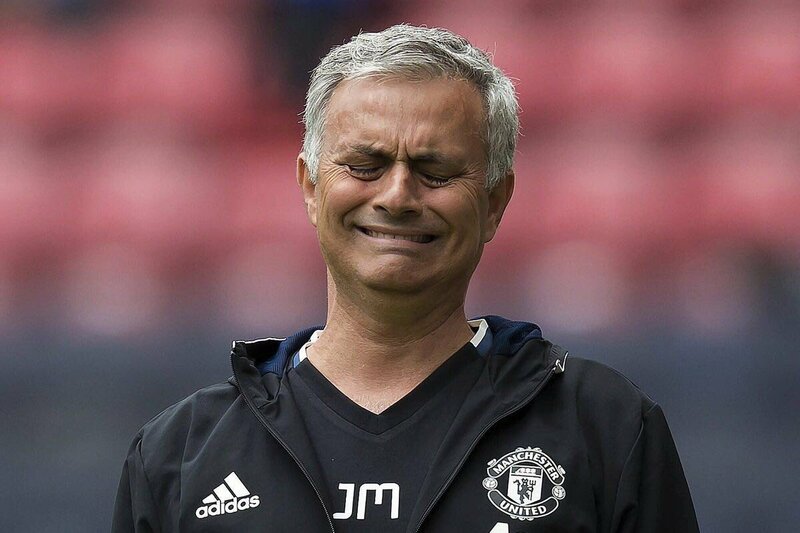 Like Conte said, we must avoid a Jose Mourinho season. we need to sign players. simple as, we need a winger and some wing backs for sure! Courtois contributed to 3 titles in the last 4 years (even breaking la Liga's duopoly). CL finalist in 2014 and he has obviously a better record in the CL than De Gea. De Gea contributed to poor PL finishes (7th - 4th - 5th - 6th). Did f a in the CL. TBF Manure are a joke in the PL and CL now. Based purely on merit Manure's squad cap is ridiculously generous. Despite having 2 years on Courtois, it's only the 1 (one) title in De Gea's entire career while Courtois already is looking to add to his 4 titles (added 2 PL titles since his last rise; the most recent one in a record breaking season + won the golden glove as well). Courtois was massive in Atleti's Copa del Rey win over Real Madrid, he has done better in Europe and for country he has been far better than De Gea without a shadow of doubt. De Gea is very much the exception. There's no player rated 94 or higher that contributed to a side with such poor "results" in the last 4 (four) years, not even on Sevilla (with sligthly better finishes in a better league and 3 successive EL trophies). As a reminder, against Manure's soft opponents in last year's EL it was Romero between the sticks instead of De Gea. I'm laughing at your dribble - Can't you use your brain? Bit in red - If it wasn't for De Gea and his saves, United wouldn't of finished in them places, they would of finished lower plus 3 managers in 4 years hasn't helped which Mourinho is fixing. Soft opponents in EL? that's how the draw went but still had teams like Spurs, Roma, Lyon, Inter etc in EL and people thought United will get killed in the final. @TalentSearcher are you upset? Better contact Manure's customer care, bébé. Again, you demonstrate a complete lack of reading comprehension. Do you think this was in his Atleti days: "added 2 PL titles since his last rise; the most recent one in a record breaking season + won the golden glove as well" (also won a league cup but hey-ho it's only customers like you that value tin pot cups). Throughout his career Courtois consistently performed at the highest level, amassed a boatload of relevant silverware at a very young age and in that 1 (one) season, the straw you keep grasping at, he was injured (he hardly played any games before Mouyes completely lost it/was sacked and Hiddink, usually playing the kiddos as the season was already lost, set a new record for the longest unbeaten streak as a new manager in the PL when Courtois returned from injury, in before: nobody cares about these sort of "records"). De Gea's haul is very limited despite having 2 years on Courtois. Just 1 (one) relevant trophy in De Gea's entire career (Courtois's rating being lower than De Gea's looks odd when you compare their contributions to their club's trophy cabinet, their CL record and performances for country). When starting out at Manure De Gea was woeful and eventually was dropped (only returned to the starting line-up because his replacement was injured). He still got a +1 while being horribly underwhelming and heavily criticized. Then in 2013 he ended joint-fifth in the race for the golden glove (unlike Courtois he has never won it), another +1, TBF that was the year of De Gea's only relevant trophy in his entire career. Now we enter the most recent time-frame during which De Gea contributed to poor PL finishes (7th - 4th - 5th - 6th in the last 4 years) + did f a in the CL and for country as usual. Without De Gea's saves it could have been worse than 7th place (Januzaj was good that year too, lmao who cares, still nowhere near a 4th place "trophy" let alone challenging for the title). Courtois only got his 93 after contributing to Atleti's title and breaking la Liga's duopoly, winning his 2nd Zamora trophy, becoming a CL finalist, ... In the same time-frame of Courtois's last +1 De Gea was handed 3 (three) rises while the latter contributed to nothing but poor PL finishes (7th - 4th - 5th - 6th) + was inferior in the CL and for country. The season De Gea was gifted his 94 rating he failed to win the golden glove, as always, and Manure came in 5th (fifth). Again, Courtois "added 2 PL titles since his last rise; the most recent one in a record breaking season + won the golden glove as well". A +1 for Courtois is well overdue. PS in last year's EL it was Romero between the sticks instead of De Gea. De Gea had little to do with it, sweetie. It's a tin pot cup anyway as Manure's path with nothing but soft opponents clearly showed. Inter's exit, lmao, Spurs v. Gent, lmao, "get killed in the final", lmao, Manure literally faced schoolchildren in that tie. Also, the liverpool "comedy gold" was already used on you (I'm happy you liked it and are trying to reuse the "banter"). Courtois finishing 10th, no European Football following season - that is consistency(sarcasm), you say he done better for country - More caps but hasn't made an impact for Belguim as only been in the last 2 tournaments. I keep saying which isn't getting into ur head, De Gea saved United so much and anybody except you would say De Gea is the world's Best or just behind Neuer - De Gea been in team of the season and save of the season so many times in a row. The Sevilla point is a pretty interesting one. Hmmm that most common of all Liverpool sayings: "this year is our year, la"
Where is Ashtini, 1000dB and Cvilhete? Had a long weekend in Amsterdam. What's up bro? I'm guessing the title has been decided last weekend. A bit odd after they've only won 1 (one) game this season but hey-ho, congrats City. 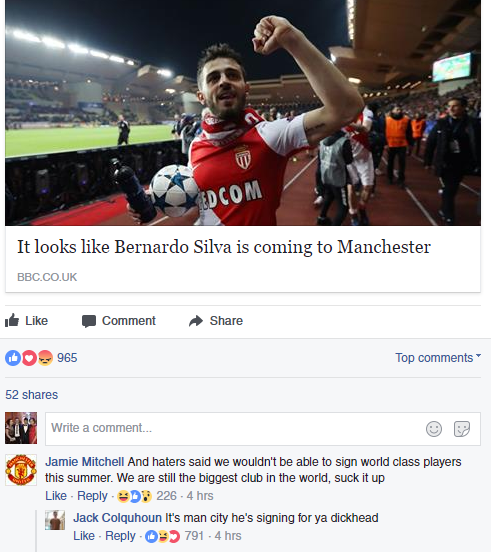 It looks like a club from Manchester will win the title in October. @TalentSearcher don't start celebrating quite yet. It could be the same club that "won it in October" last year.